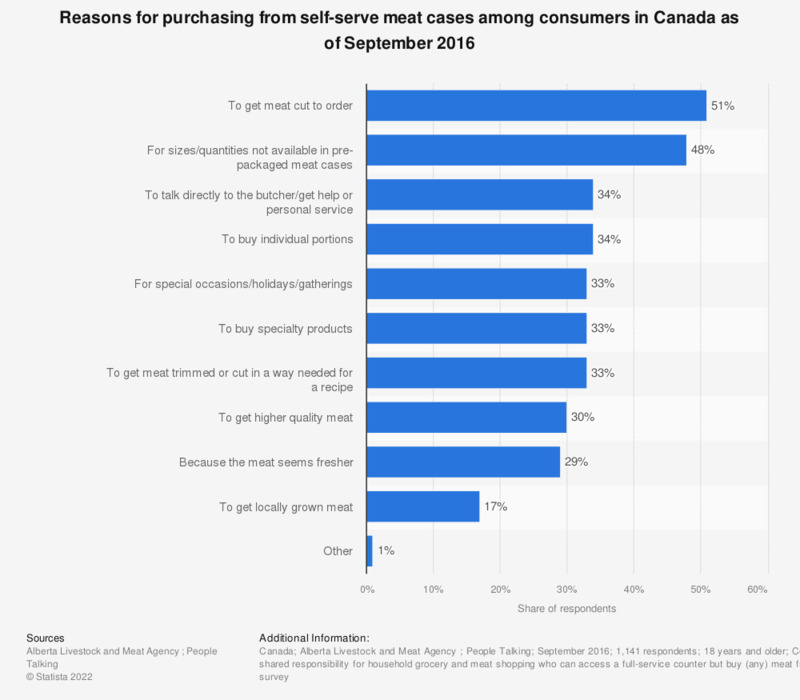 This statistic shows the reasons for purchasing from self-serve meat cases among consumers in Canada as of September 2016. During the survey, 29 percent of the respondents had chosen to purchase meat from self-serve meat cases because they believed the meat is fresher. How important is quality of fresh food (so fruit and veg, dairy products etc.) when deciding where to do your food shopping?